lol I had to do this.. This is what happens when I get bored XDD. 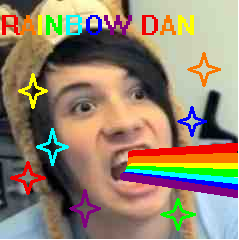 Wallpaper and background images in the danisnotonfire club tagged: dan howell awesome danisnotonfire rainbows.